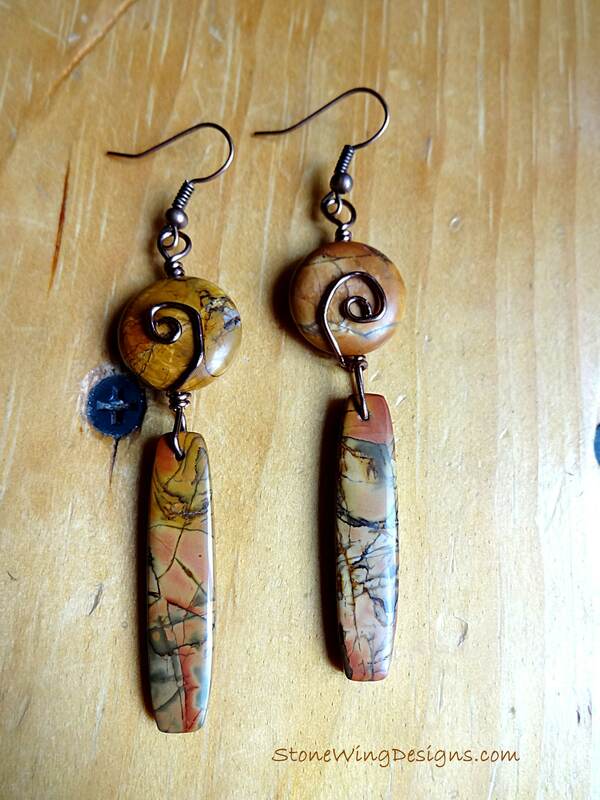 These gorgeous earrings feature hand crafted Red Creek Jasper sticks wire wrapped with vintage bronze wire. 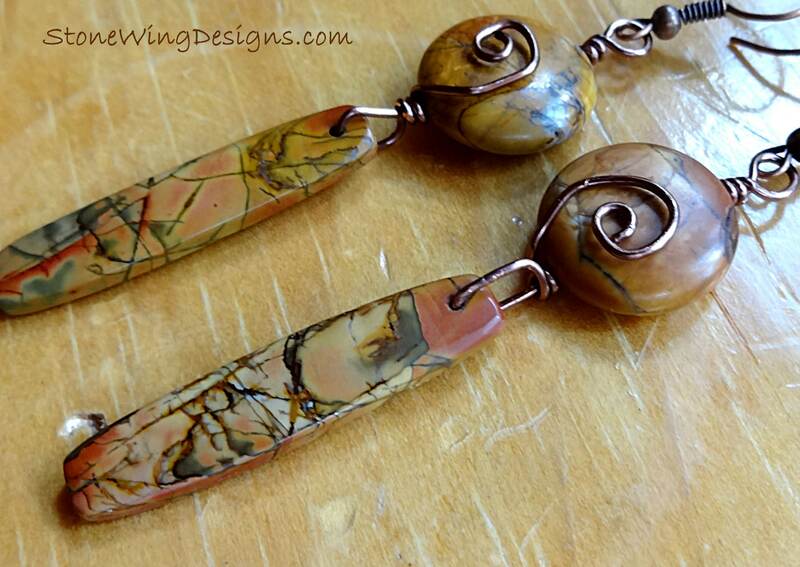 I wired the sticks to similar colored Red Creek Jasper Coins. 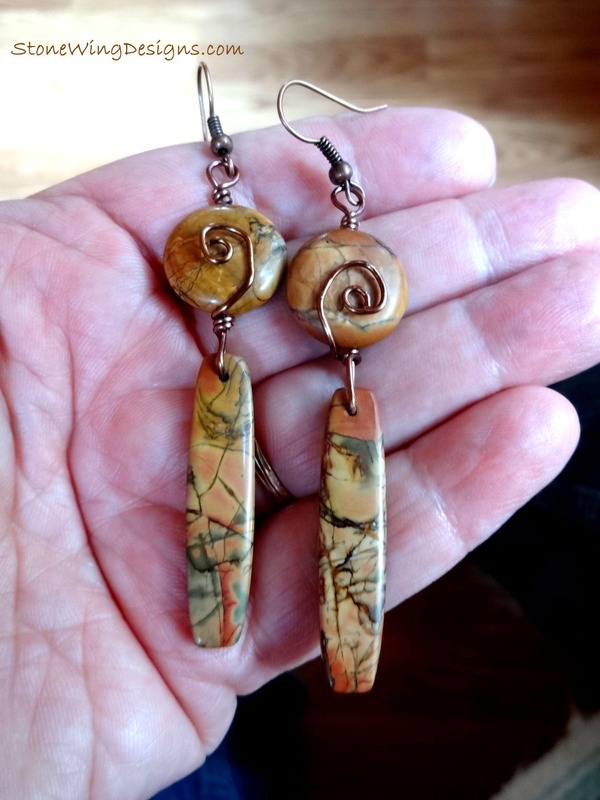 These earrings are exquisite and elegant in their simplicity. 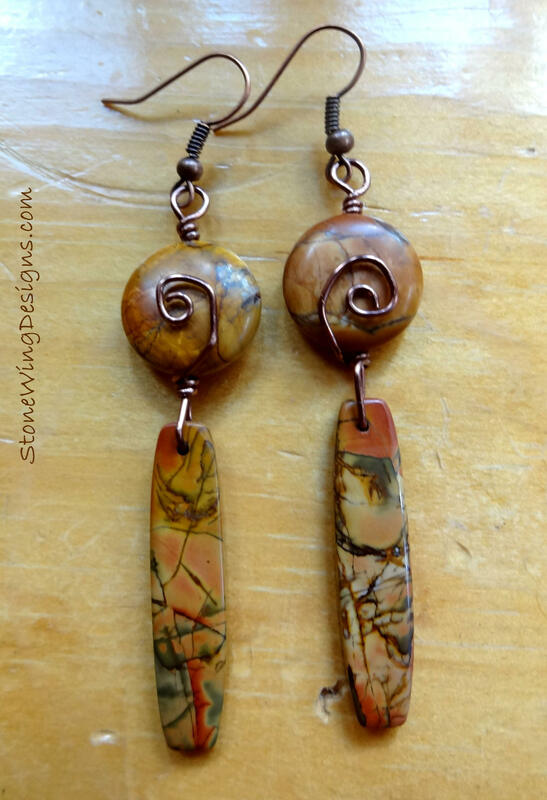 The focus is on the stones - well matched by color and pattern - with a little swirl wire wrap on the face of the coins. 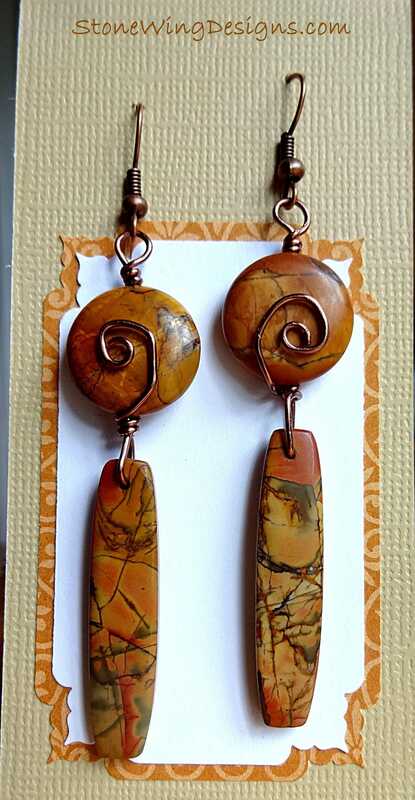 With hints of peach, orange, brown, brick red, and even a little army green, this stone is one of the most popular stones in the rustic genre of jewelry today because of the beautiful colors and patterns. I've loved the stone since I first saw it a few years ago. The ear wires are antique copper and have been protected with Rennaissance Wax.